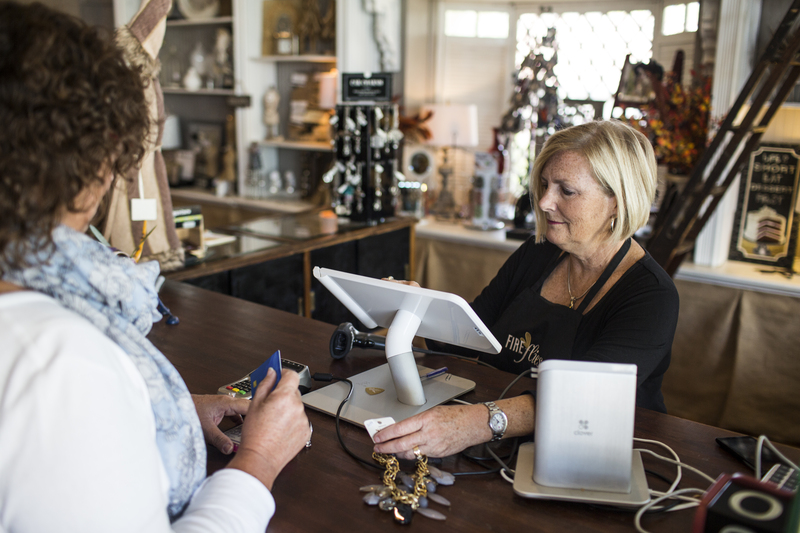 A point-of-sale (POS) system is the mix of hardware and software that allows you to process payments for goods and services at the checkout counter. Historically, getting started was prohibitively expensive, which is why only the biggest retailers could afford a POS. Though as with all technologies, POS systems became better, faster and more affordable — allowing smaller retailers to begin using them. In fact, credit card terminals are now standard in most stores. Thankfully, the technological progress never really stopped. The POS systems of today are so inexpensive and intuitive that not using one carries costs. This is certainly true for most merchants, but it’s also becoming increasingly true for a growing number of non-retail businesses. If you operate a cash-only business, your growth potential is severely limited. That’s because many Americans no longer carry paper money in their wallets. A POS system expands the number of payment options you can accept. Credit and debit card functionality come standard. Many newer setups also allow you to configure alternative forms of payment such as ACH, Apple Pay, and even contactless cards. A POS system can help you automate many time-consuming tasks — from bookkeeping to inventory management to order fulfillment. Instead of keeping these records updated by hand, your POS system can leverage integrated plugins and apps to put these processes on autopilot. As new sales come in, those transactions are instantly reported in whatever CRM, sales, inventory or accounting tools you’re already using. This can save you a ton of time, allowing you to focus on more important aspects of running your business. This benefit is directly related to the previous one, but payment integration can also help reduce errors and redundancies in your bookkeeping. Machines are much faster and more accurate than you are with your adding machine or handheld calculator. This may not seem like a big deal now, but you’ll definitely appreciate this improved accuracy during tax season. Traditional POS systems are usually clunky, standalone terminals that never leave the checkout counter. Newer setups, however, leverage mobile technology. All you need is a small credit card reader that pairs with your smart device via Bluetooth®. With mobile payment processing, you can capture credit card sales on the go — whether you run a food truck or provide landscape services. For stores like Apple and Gucci, people lining up around the block is a sign of success. Folks are obviously eager to buy whatever hot new fashion accessory or tech gadget is on offer. Yet, for most businesses, long queues are a sign of inefficiency. Your customers aren’t feeling the “buzz.” They’re simply waiting to pay and be on their way. A POS system that uses near field communication (NFC) can dramatically shorten those queues and speed the transaction process. NFC technology allows your customers to simply wave their smartphones, wearables, or contactless credit cards over an NFC-enabled terminal. Both authorization and confirmation happen electronically, without the need for signatures or printed receipts. The result is that you’re able to process more sales per unit of time. As an added benefit, your customers will be much happier. Is a POS System Right for Your Business? If you accept payments in-person, then yes. A POS system will almost certainly help your business cut costs and increase sales. Because today’s POS solutions are modular, you can pick and choose whatever features make the most sense for you. If you need help finding the right POS configuration for your current business, schedule a free consultation with our team today.